listen (help·info)) (from mi 'people', zo 'hill', ram 'country', Land of the Hill People / Mizo people") is one of the Seven Sister States listed as in North Eastern India, sharing borders with the states of Tripura, Assam, Manipur and with the neighboring countries of Bangladesh and Burma. Mizoram became the 23rd state of India on 20 February 1987. Its capital is Aizawl. Mizoram is a land of rolling hills, valleys, rivers and lakes. As many as 21 major hills ranges or peaks of different heights run through the length and breadth of the state, with plains scattered here and there. The average height of the hills to the west of the state are about 1,000 metres (3,300 feet). These gradually rise up to 1,300 metres (4,300 feet) to the east. Some areas, however, have higher ranges which go up to a height of over 2,000 metres (6,600 feet). Phawngpui Tlang also known as the Blue Mountain, situated in the south-eastern part of the state, is the highest peak in Mizoram at 2,210 metres (7,250 feet). The biggest river in Mizoram is Chhimtuipui, also known as Kaladan. It originates in Chin State in Burma and passes through Saiha and Lawngtlai districts in the Southern tip of Mizoram, goes back to Burma's Rakhine state, and finally enters the Bay of Bengal at Akyab, which is a very popular port in Sittwe, Burma. The Indian government has invested millions of rupees to set up inland water ways along this river to trade with Burma. The project is known as the Kaladan Multi-modal Transit Transport Project. Although many more rivers and streams drain the hill ranges, the most important and useful rivers are the Tlawng, Tut, Tuirial and Tuivawl which flow through the northern territory and eventually join the Barak River in Cachar District. The Chhimtuipui which originates in Burma, is an important river in the south of Mizoram. It has four tributaries and the river is in patches. The western part is drained by river Karnaphuli(Khawthlang tuipui) and its tributaries. A number of important towns, including Chittagong in Bangladesh, are situated at the mouth of the river. Before Independence, access to other parts of the country was only possible through the river routes via Cachar in the north, and via Chittagong in the south. Entry through the latter was cut off when the subcontinent was partitioned and ceded to East Pakistan (now Bangladesh) in 1947. The Palak lake, the biggest in Mizoram is situated in Saiha District which is part of southern Mizoram covering 30 hectares (74 acres). It is believed that the lake was created as a result of an earthquake or a flood. The local people believe that a village which was submerged still remains intact deep under the waters. The Tamdil lake is a natural lake situated 85 km (53 mi) from Aizawl. Legend has it that a huge mustard plant once stood in this place. When the plant was cut down, jets of water sprayed from the plant and created a pool of water, thus the lake was named Ţamdil which means of 'Lake of Mustard Plant'. Today the lake is an important tourist attraction and a holiday resort. The most significant lake in Mizo history, Rih Dil, is ironically located in Burma, a few kilometres from the India-Burma border. It was believed that the departed souls pass through this lake before making their way to Pialral or heaven. The origin of the Mizo people, like those of many other tribes in the northeastern India, is shrouded in mystery. Mizo history in the 18th and 19th century is marked by many instances of tribal raids and head hunting led by the village chieftains. The Lushai Hills Autonomous District Council was formed in 1952 and it led to the abolition of chieftainship.The autonomy however only partially met the aspirations of the Mizo people so representatives of the District Council and the Mizo Union plead with the States Reorganization Commission (SRC) in 1954 for integrating the Mizo-dominated areas of Tripura and Manipur with the District Council in Assam. The tribal leaders in the northeast were unhappy with the final SRC recommendations and met in Aizawl in 1955 to form a new political party, Eastern India Tribal Union (EITU). This group raised their demand for a separate state comprising all the hill districts of Assam. The demand for a separate Hill state by EITU was kept in abeyance. The Mizo National Famine Front dropped the word 'famine' and a new political organisation, the Mizo National Front (MNF) was born on 22 October 1961 under the leadership of Laldenga with the specified goal of achieving sovereign independence of Greater Mizoram. It resorted to armed insurrection with the 28 February 1966 uprising against the Government, attacking the government installations at Aizawl, Lunglei, Chawngte, Chhimluang and other places. In Aizawl, on 5 and 6 March 1966, the Government of India bombed the city of Aizawl with Toofani and Hunter Jet fighters, this was the first time India used its air force to quell a movement of any kind among its citizens. The next day, a more excessive bombing took place for several hours which left most houses in Dawrpui and Chhinga veng area in ashes,” recollected 62-year-old Rothangpuia in Aizawl. The Mizo National Front was outlawed in 1967 and the demand for statehood increased. The Mizo District Council delegation met prime minister Indira Gandhi in May 1971 and demanded full fledged statehood for Mizoram. The Indian government offered to convert the Mizo Hills into a Union Territory (U.T.) in July 1971. The Mizo leaders accepted on the condition that Statehood occurred sooner rather than later. The Union Territory of Mizoram came into being on 21 January 1972. Mizoram got two seats in Parliament, one each in the Lok Sabha and in the Rajya Sabha. Rajiv Gandhi's coming to power following his mother's death signaled the beginning of a new era in Indian politics. Laldenga met the prime minister on 15 February 1985. Some contentious issues which could not be resolved during previous talks were referred to him for his advice. With Pakistan having lost control of Bangladesh and no support from Pakistan, the Mizo National Front used the opportunity that had now presented itself. New Delhi felt that the Mizo problem had been dragging on for a long time, while the Mizo National Front was convinced that bidding farewell to arms to live as respectable Indian citizens was the only way of achieving peace and development. Statehood was a prerequisite to the implementation of the accord signed between the Mizo National Front and the Union Government on 30 June 1986. The document was signed by Pu Laldenga on behalf of the Mizo National Front, and the Union Home Secretary R.D. Pradhan on behalf of the government. Lalkhama, Chief Secretary of Mizoram, also signed the agreement. The formalization of the state of Mizoram took place on 20 February 1987. Chief Secretary Lalkhama read out the proclamation of statehood at a public meeting organised at Aizawl's parade ground. Prime Minister Rajiv Gandhi flew in to Aizawl to inaugurate the new state. Hiteshwar Saikia was appointed as Governor of Mizoram. According to 2011 census report, Mizoram has literacy rate of 91.58%, second only to Kerala. It scores approximately 93.4% in sanitation. Mizoram also has the 2nd highest urbanization rate  in India with 22 towns included . Details are shown in the figures. The great majority of Mizoram's population consists of several ethnic tribes who are either culturally or linguistically linked. These ethnic groups are collectively known as Mizos (Mi= People, Zo= Hill). One should note that 'Mizo' is a generic term which denotes a particular group of hill people who are closely linked culturally and linguistically. Moreover these group of hill people share close physical similarities. There is an increasing unity among Mizo tribes who are spread throughout the northeastern states of India, Burma and Bangladesh. The Mizos are divided into numerous tribes; however, to name a particular tribe as the largest would be an unreliable task as no concrete census has ever been undertaken till now. In order to better understand the Mizos, substantial knowledge and understanding of the various Mizo Tribes (Tribes who fall under the term Mizo) is a requirement. The Mizos include Gangte, Lushei, Paite, Lai, Mara, Ralte etc. and a few among others. These tribes are divided into numerous clans within themselves, and these clans are further sub-divided into sub-clans, for example the Hmars are divided into Thiek, Lungtau, Darngawn, Khawbung, Zote etc. These clans sometimes have slight liguistics differences. The Bru(Reang), Chakma, Tanchangya, Arakanese origin, are a non-Mizo tribes living in Mizoram. The Bnei Menashe tribe claim Jewish descent. The Mizo people usually suffix their descriptive given names with their tribe. The Reangs are most neglected ones. Though the state achieved high literacy rate, the Brus remain largely uneducated. Mizo traditional tunes are very soft and gentle, with locals claiming that they can be sung the whole night without the slightest fatigue. The guitar is a popular instrument and Mizos enjoy country style music. Within the church services are drums, commonly used and known locally as "khuang". The "Khuang" is made from wood and animal hide and are often beaten enough to instigate a trance like state with worshipers as they dance in a circular fashion. Mizos enjoy singing and even without musical instruments, they enthusiastically sing together, clapping hands or by using other rhythmic methods. Informal instruments are called chhepchher. The early Mizos were close to nature and music is still an essential part of the cultural life. Whilst gospel music remains an integral part of Mizo culture, Western influence is evident from the contemporary music scene as young people experiment with rock, metal, rap, pop and hip-hop. The fabric of social life in the Mizo society has undergone tremendous change over the last few years. Previously the village and the clan formed units of Mizo society. The Mizo code of ethics or dharma focused on "Tlawmngaihna", an untranslatable term meaning that it was the obligation of all members of society to be hospitable, kind, unselfish, and helpful to others. Tlawmngaihna to a Mizo stands for that compelling moral force which finds expression in self-sacrifice for the service of others. The old belief, Pathian, is still used to mean God. Mizos often gather together to help in disaster management like landslides or famine. Mizos are a close-knit society with no class distinction and no sexual discrimination. Ninety percent are cultivators, and the village functions as a large family. Birth, marriage, and death in the village are important occasions and the whole village would typically become involved. When there is a death, the whole local community, as well as all family members of the deceased, mourn together in the residence of the deceased. This particular process of mourning together lasts anywhere from a few weeks to over 3 months. There are a few community establishments in urban centres that frequently arrange various social events, musical concerts, comedy shows, reality TV shows, discussion groups and scientific or technological conferences. However, generally speaking the region is lacking in Western-style social meeting establishments. Much of the social life often revolves around church. An active church life is perhaps one of the reasons why Mizos are such a tightly-knit community. Mizoram’s media is growing quickly. Internet access is average, and private television cable channels are popular. Doordarshan, the national television service of India provides terrestrial broadcasting services and All India Radio broadcasts programs related to the indigenous culture and local news. Broadband access is available. In addition to these, there are several websites in local dialects. Print journalism remains a popular news medium in Mizoram; local newspapers include Vanglaini and The Zozam Times. Mizonews.net is the only website in English providing regular news on Mizoram. Mizo is the official language and the most widely used language for verbal interactions, but English, being important for education, administration, formalities and governance, is widely used. The Duhlian dialect, also known as the Lusei, was the first language of Mizoram and has come to be known as the Mizo language. The language is mixed with other dialects like the Hmar, Mara, Lai, Paite, Gangte, etc. Christian missionaries developed the Mizo script. Writing is a combination of the Roman script and Hunterian transliteration methodology with prominent traces of a phonetics-based spelling system. There are 25 letters in the alphabet: A, AW, B, CH, D, E, F, G, NG, H, I, J, K, L, M, N, O, P, R, S, T, Ṭ, U, V, Z. Mizo is one of the languages with official status in India (at the state level). Hindi is a compulsory subject for all students till Class VIII and has a growing usage. The Nepali is also spoken by the Nepali immigrants in the state. The majority (87%) of Mizos are Christian. in various denominations, predominantly Presbyterian. Hindus form a small minority (3.6%) and there are also around 8.3% Buddhists according to the 2001 census, mostly made up from Chakma settlers of Arakan origin. There are about 8,000 mostly ethnic Mizo followers of a Judaic group Bnei Menashe, who claim descent from the biblical Menasseh. Muslims make up about 1.1% of the state population. The major Christian denomination is the Presbyterian Church. The church Mizoram Presbyterian Church was established by a Welsh Missionary named Rev. D.E. Jones and is one of the constituted bodies of the General Assembly of the Presbyterian Church of India, which has its headquarters at Shillong in Meghalaya (India). The administration of the Presbyterian Church is highly centralised. The Synod, with its headquarters at Aizawl, is the highest decision making body of the church with considerable influence. The financial operation, personnel (including selection of missionaries), administration, management and operation of the church are directly or indirectly controlled by the Synod Headquarters. Other Christian churches include the Baptist Church of Mizoram, United Pentecostal Church, the Salvation Army, the Seventh-day Adventist Church, Kohhran Thianghlim, Roman Catholic, Lairam Jesus Christ Baptist Church(LIKBK), and the Evangelical Church of Maraland, Independent Church of India (ICI) and Evangelical Free Church of India (EFCI). According to 2001 census report there are more than 70,494 people who follow Buddhism in Mizoram. The Chakmas and Tongchangya or Tanchangya have been Buddhist since historical times and there are approximately one hundred monasteries (known as vihara in Pali) in Mizoram. Of the many schools of Buddhism that existed in ancient times only Theravada Buddhism exists in Mizoram today. According to the 2001 Census, there were 31,562 Hindus in Mizoram. Out of this, 26,448 were non-indigenous and 5,114 were indigenous tribal. Earlier there were significant Hindu population among the Reang(Bru) communities, but after the ethnic riots of 1990s, most of them migrated to Tripura and Assam (According to the 1991 Census, 90% of all indigenous Hindus of Mizoram were Reang. Hindu population among the Mizo tribe is negligible, with only 2,616 Hindus out of a population of 646,117 (0.40%). A total of 1,666 Hindus from the Reang community remained in Mizoram at the time of 2001 Census. Originally land tenure was invested with the head of the tribe or chief assisted by a council that ruled locally. After annexation by the British in the 1890s, Mizoram was administered as the Lushai Hills district of Assam. The colonial power introduced inner line regulation, restricting access to any outsiders. It was renamed as the district of Mizo Hills within Assam State in 1954 and in the same year the Young Mizo association was formed which is still an important institution in Mizoram. In order to protect ethno-cultural identity, and with various political differences, friction developed with mainland India and insurgency started with an armed revolt in 1966. The region was subsequently declared Mizoram after the insurgency, receiving status as a Union territory in 1972. It became a State of India in 1986, formalised the following year. After the 1986 signing of the Historic Memorandum of Settlement between the Government of India and the Mizo National Front, Mizoram was granted Statehood on 20 February 1987 (as per the Statehood Act of 1986). Mizoram became the 23rd State of the Indian Union. The Mizoram State Legislative Assembly has 40 seats and the Village Councils are the grassroots of democracy and leadership in Mizoram. There are three Autonomous District Councils (ADCs) for ethnic tribes in Mizoram, namely Chakma Autonomous District Council (in the southern part of state, bordering Bangladesh), Lai Autonomous District Council (LADC) for Lai people in Southern part of the state, and Mara Autonomous District Council (MADC) for Mara people in the Southern-eastern corner. Mizoram is one of the fastest growing economies among the states of India with a per capita income of Rs 50,021. Mizoram had the second highest GSDP growth during the 11th Five Year Plan (2007-2012) in Northeast India at 11 percent exceeding the target of 7.8 percent which is also much higher than the national average of 7.9 percent. During the 10th Five Year Plan (2002-2007), the Gross State Domestic Product (GSDP) was expected to grow at around 5.3 per cent but grew at 5.7 per cent. The biggest contributors to GSDP growth are Agriculture, Public Administration and Construction work. Tertiary sector of service sector continued to have the contribution to the GSDP with its share hovering between 58 per cent and 60 per cent during the past half a decade. Around 60 per cent of the population of the state depended on agriculture, the sector's contribution to the GSDP was only 19.84 per cent during the same period and that of the industry was 20.20 per cent. The Economic Survey indicated that 32 per cent of the cultivated area was under jhum and only 20 per cent of the demand for rice could be met within the state while a total of 14,28,600 tonnes of rice was lifted by the state government from outside. More than 70% of the total population is engaged in some form of agriculture. The age-old practice of Jhum is being discouraged by the state government with schemes like the New Land Use Policy a Policy to help farmers move away from the traditional slash-and-burn method of cultivation. Recently, Mizoram Government has entered into a new venture wherein Oil Palm and Jatropha cultivation, for biofuels is being promoted. Mizoram is facing a number of difficulties in the advancement of industries. Lack of means of dependable surface transport and poor accessibility is one of the major drawbacks. Other problems faced by the state were the poor mineral resources, non-availability of good infrastructure and communication facilities, shortage of capital and lack of modern skills. 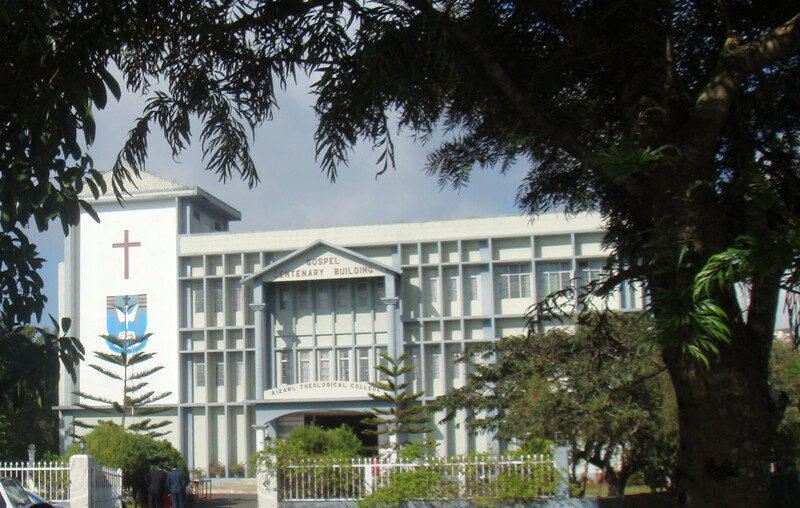 A Software Technology Park is however being established in Mizoram University campus. A Steel Plant is also being established in Mizoram. Below is a chart of trends in gross state product of Mizoram at market prices estimated by Ministry of Statistics and Programme Implementation with figures in millions of Indian rupees. Mizoram is not self-sufficient in power. Despite having a potential of 4500 MW  in hydropower, it is yet to be developed. Some communities use solar power – at least for light. There are 22 diesel power stations for power backup (26.14 MW)and 9 mini/micro hydel (hydroelectric) plants producing 8.25 MW. As per the 16th Electric Power Survey of India under CEA, Government of India, the restricted peak load demand of the state during the 2002–2003 year is 102 MW. Serlui B Dam, a 12 MW hydel project near Kolasib is currently being used by the State Government. Tuirial Dam, a 64 MW capacity hydel dam is currently under construction and is expected to be completed by 2013. An MoU has been signed for Bairabi Dam and Tlawng Dam by Government of India on 10 August 2012. Road Network: Mizoram has a road network of around 4,000 km (2,500 mi) or minor or village roads and a small number of national highways. The village roads are primarily single lane or unmetalled tracks that are typically lightly trafficked. The State is connected to the Indian network through National Highway 54. Another highway, NH-150 connects the state with Seling Mizoram to Imphal Manipur and NH-40A links the State with Tripura.A road between Champhai and Tiddim in Burma has been proposed but the Burmese authorities are unwilling to complete the link. Airport: Mizoram has an airport, Lengpui Airport, near Aizawl and this is linked from Kolkata – a 40 minute flight. Inclement weather conditions mean that at certain times the flights are unreliable. Mizoram can also be reached from Kolkata via Silchar Airport, which is about 200 km (120 mi), around 6 hours) from Aizawl. Railway: There is a rail link at Bairabi rail station but it is primarily for goods traffic. The nearest practical station to Mizoram is at Silchar in Assam, some 6 hours drive from Aizawl. Bairabi is about 110 km (68 mi) and Silchar is about 180 km (110 mi) from the state capital. The Government is now planning to start a broad gauge Bairabi Sairang Railway connection for better connectivity in the state. Helicopter: A Helicopter service by Pawan Hans has been started which connects the Aizawl with Lunglei, Lawngtlai, Saiha, Chawngte, Serchhip, Champhai, Kolasib, Khawzawl and Hnahthial. Water Ways: Mizoram is in the process of developing water ways with the port of Akyab Sittwe in Burma along Chhimtuipui River. India is investing $103 million to develop the Sittwe port on Burma's northern coast, about 160 km (99 mi) from Mizoram. State Peace and Development Council of Burma has committed $10 million for the venture, which is part of the Kaladan Multi-modal Transit Transport Project., though the connection is arguably of limited use. Mizoram is considered by many as a beautiful place due to its dramatic landscape and pleasant climate. There have been many attempts to increase revenue through tourism but many potential tourists find the lack of amenities to be a hurdle. However, the State continues to promote itself and many projects have been initiated. The tourism ministry continues to maintain or upgrade its tourist lodges throughout the state. Foreign tourists are required to obtain an 'inner line permit' under the special permit before visiting. The permit can be obtained from Indian missions abroad for a limited number of days or direct from Mizoram Government authorities within India. The state is rich in bird diversity, which has the potentiality to make it a major birding destination. For Mrs Hume's Pheasant Syrmaticus humiae, Mizoram is a stronghold. There is also a rare record of the Wild Water Buffalo from the state. There are several past records of the Sumatran rhinoceros from Mizoram, then Lushai Hills. The small population of wild elephants can be seen in Ngengpui and Dampa Sanctuaries. In 1996 the Government of Mizoram banned liquor. The church leaders (Mizoram Kohhran Hruaitute Committee) continue to argue that state government should keep the ban, and not seek to amend the law, as others have argued. Every 48 years, the Mautam bamboo blooms and its high-protein seeds lead to an explosion in the Black Rat population in the jungle, a.k.a. rat flood, which historically has destroyed entire villages' food supply when the rats move on to farm fields. The plague "in 1958-59, provoked a rural uprising that saw the indigenous Mizo people launch a violent 20-year rebellion against the federal government that was only finally resolved in 1986." ^ "Census Population". Census of India. Ministry of Finance India. http://www.census2011.co.in/census/state/mizoram.html. Retrieved 7 August 2012. ^ "Mizoram To Be 23rd State Of India, Tribal Customs Protected". APN News. http://www.apnewsarchive.com/1986/Mizoram-To-Be-23rd-State-Of-India-Tribal-Customs-Protected/id-3ad643fb331a404302e1b02172ded7b5. Retrieved 20 August 2012. ^ Sanjeev Miglani (19 April 2010). "Bombing your own people: the use of air power in South Asia". Reuters. http://blogs.reuters.com/afghanistan/2010/04/19/bombing-your-own-people-the-use-of-air-power-in-south-asia/. Retrieved 2010-10-14. ^ Lalchungnunga (1994). Mizoram politics of regionalism and national integration. Reliance Publishing House. ^ Chaterjee, Suhas. Making of Mizoram: Role of Laldenga, Volume 2. MD Publication. ^ "Urban population in Mizoram on the rise". Seven Sisters Post. http://sevensisterspost.com/urban-population-in-mizoram-on-the-rise/. Retrieved 27 August 2012. ^ "Classification of urban areas and rural areas in Mizoram.". The Mizoram Gazette. http://mizoram.nic.in/printing/508/227.pdf. Retrieved 27 August 2012. ^ "ALPHABETICAL LIST OF TOWNS AND THEIR POPULATION Mizoram". Census India. http://censusindia.gov.in/towns/miz_towns.pdf. Retrieved 27 August 2012. ^ "It’s time to learn Hindi in Mizoram". indegenousherald.com (Agartala). 2008-07. http://www.indigenousherald.com/index.php/region/113-its-time-to-learn-hindi-in-mizoram. Retrieved 13 February 2013. ^ "Zo sakhaw thuthlungpui". Hnam sakhua. 2011. http://hnamsakhua.blogspot.fr/. Retrieved June 19, 2012. ^ India Gov. "India 2010 - A Reference Annual". India Gov Website. http://india.gov.in/knowindia/profile.php?id=13. Retrieved 10 August 2012. ^ "Buddhists rally against Bangla attacks". Seven Sisters Post. http://sevensisterspost.com/buddhists-rally-against-bangla-attacks/. Retrieved 25 December 2012. ^ "Mizoram GSDP a thang chak NLUP inrêlbawlna sum a tam lo". Vanglaini. http://vanglaini.org/index.php?option=com_content&view=article&id=13838:mizoram-gsdp-a-thang-chak-nlup-inrelbawlna-sum-a-tam-lo-pl-thanga&catid=99:tualchhung&Itemid=2. Retrieved 24 August 2012. ^ "Mizoram per capita income". Indian Express. http://www.indianexpress.com/news/mizoram-per-capita-income-rs-50-021/768758/. Retrieved 20 August 2012. ^ "Mizoram to implement new land use policy". Sify News. http://www.sify.com/news/mizoram-to-implement-new-land-use-policy-news-national-kdrtkededhc.html. Retrieved 20 August 2012. ^ "Mizoram soon to have an Oil Palm industry". The Northeast Times. http://tntmagazine.in/news/mizoram/mizoram-soon-to-have-an-oil-palm-industry/. Retrieved 20 August 2012. ^ "Northeast's fourth software technology park in Mizoram". Assam Tribune. http://www.assamtribune.com/scripts/detailsnew.asp?id=may0612/at0153. Retrieved 20 August 2012. ^ "Mizoram steel plant ready to roll". WebIndia. http://news.webindia123.com/news/articles/India/20120604/1997969.html. Retrieved 20 August 2012. ^ "Mizoram has 4500 MW of hydro-power potential". NewzFirst. http://www.newzfirst.com/web/guest/full-story/-/asset_publisher/Qd8l/content/mizoram-has-4500-mw-of-hydro-power-potential:-cm?redirect=/web/guest/home. Retrieved 20 August 2012. ^ Lalfakzuala. "Bairabi Dam Project 80MW leh TLAWNG HEP 55MW TAN MOU ZIAKFEL". DIPR Mizoram. http://dipr.mizoram.gov.in/press-release/bairabi-dam-project-80mw-leh-tlawng-hep-55mw-tan-mou-ziakfel. Retrieved 13 August 2012. ^ "MIZORAMA HELICOPTER SERVICE TUR CHIEF MINISTER IN HAWNG". Mizoram DIPR. http://dipr.mizoram.gov.in/press-release/mizorama-helicopter-service-tur-chief-minister-in-hawng. Retrieved 14 August 2012. ^ "Nilaini atangin ‘Helicopter Service". The Zozam Times. http://www.thezozamtimes.org/index.php?option=com_content&view=article&id=5455:nilaini-atangin-helicopter-service&catid=43:news&Itemid=63. Retrieved 20 August 2012. ^ "Mizoram Church no to liquor ban Act amendment Aizawl". webindia123. Suni Systems. 6 June 2009. http://news.webindia123.com/news/articles/India/20090606/1269373.html. Retrieved 25 December 2012. This page uses content from the English language Wikipedia. The original content was at Mizoram. The list of authors can be seen in the page history. As with this Familypedia wiki, the content of Wikipedia is available under the Creative Commons License.